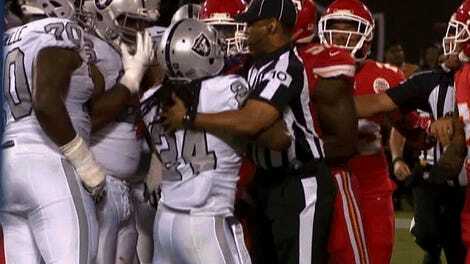 The soon-to-be Las Vegas Raiders are getting it done early in Oakland thanks to one of the strongest feats of human strength ever seen on a football field. Marshawn Lynch showed he still had some “Beast Mode” left in the tank when he dragged almost the entirety of the Rams’ defense, and a couple of his offensive linemen, to the goal line for his first touchdown of the season. 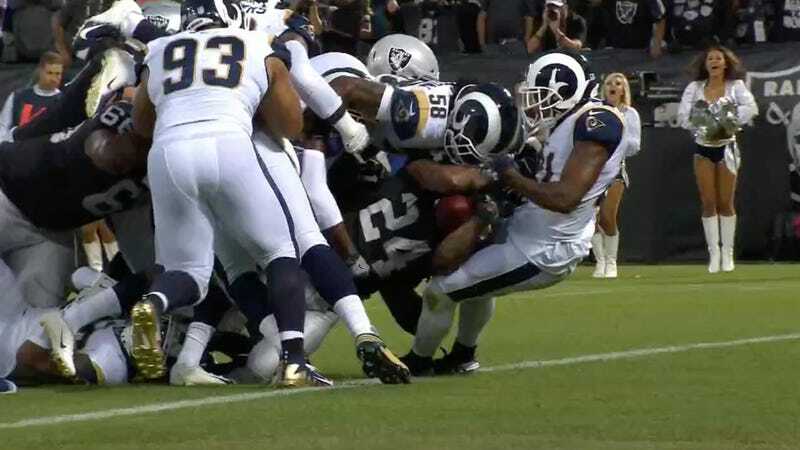 The contrarian could argue that the combined surge from the Raiders lineman and the Rams defenders trying to add weight to the pile, or even just Aqib Talib trying to drag the ball out of Lynch’s hands, really helped this touchdown happen, but that’d be no fun. 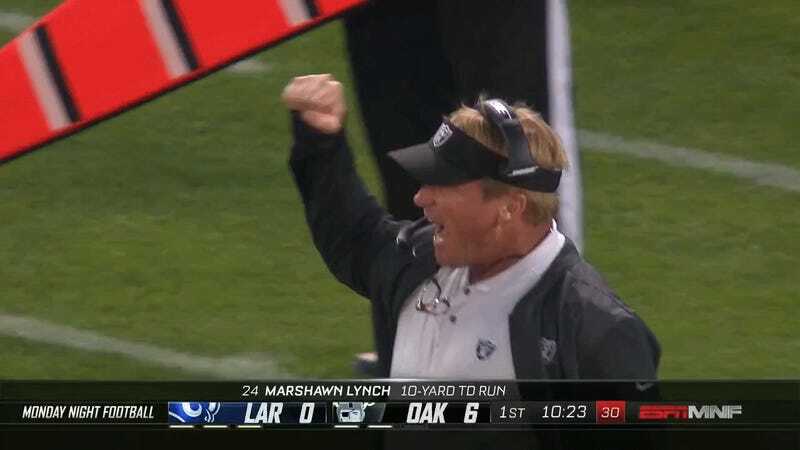 Besides, look how happy that touchdown made Jon “Culture Change” Gruden! Who would want to ruin a smile like that? Certainly not I.